On the hospital compound the grass is cut using human lawn mowers! 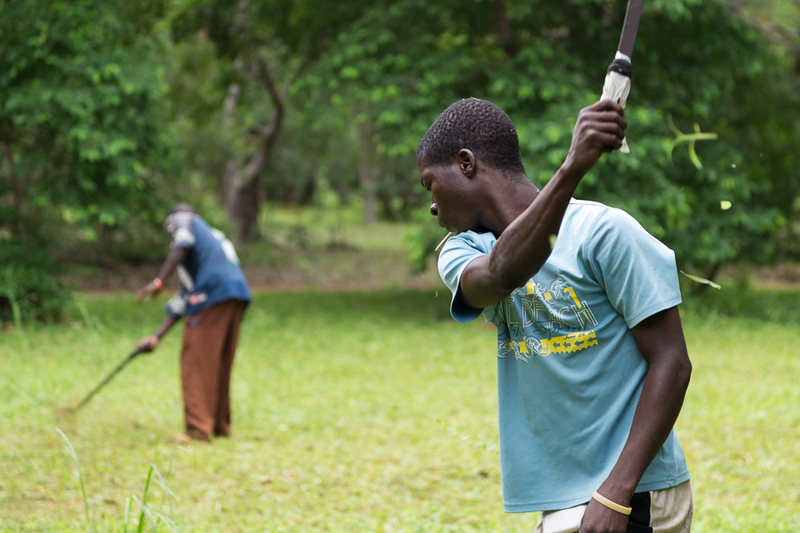 The hospital maintenance department has a staff of men who cut the grass with cutlasses (machetes) and they are pretty impressive to watch. Often they cut together in unison, creating a steady whish/whack/whish/whack rhythm. Sometimes a patient of the hospital can’t afford to pay their bill and the hospital allows members of their family to pay off their debt by working on the campus doing tasks like cutting the grass. I’m convinced that the Baptist Medical Centre‘s 55 years of success is due in part to the fact that they don’t give away medical care for free. The services and medicine don’t cost the nationals much, but placing a monetary (or grass cutting) value on it means they aren’t taken for granted or abused.